"A good review of the show Jason. I would have liked to make the trip first hand to have seen the new ND555 even though it was not demonstrated. I look forward to hearing it soon. " "Dave,I knew you would love them! Your post took me back to the excitement I felt on the day James and Henry arrived at my place with two huge boxes. As you say, the Scalas are incredibly musical. At first I was using a NAP300 to drive them. I was…"
"And by far the best is yet to come mate!" "Indeed James, the SL cables are already sounding very fine!!!" "Thanks for the update Dave, I'm really looking forward to exploring these exciting options with you. Your new room is the ideal environment in which to fully experience how far we can take your already outstanding system. It's going to be…"
Dave Burke commented on Scott Brown's blog post I don't like my Focal speakers...I love them! "Hi Scott, glad to hear the Scalas are working well in your room. I have only heard Focal speakers at shows, where often the room and set up are far less than ideal - looking forward to hearing yours next month. All the best, Dave." "Thanks Scott, I'd love to have a listen sometime. I spoke to James earlier and he is looking at dates that work for all of us. I also feel it's time to update my story, so like you will be posting more when I get a moment." "Just re-reading this... How are they sounding after 18 months Scott? Just asking... No reason... :-)"
"Having spent a very enjoyable afternoon in Dave's new room, I can confirm that all the effort was more than worth it and the results are truly stunning. Having known Dave and the various iterations of his system for a number of…"
"Thanks Scott, it's coming along, but has been a long journey. 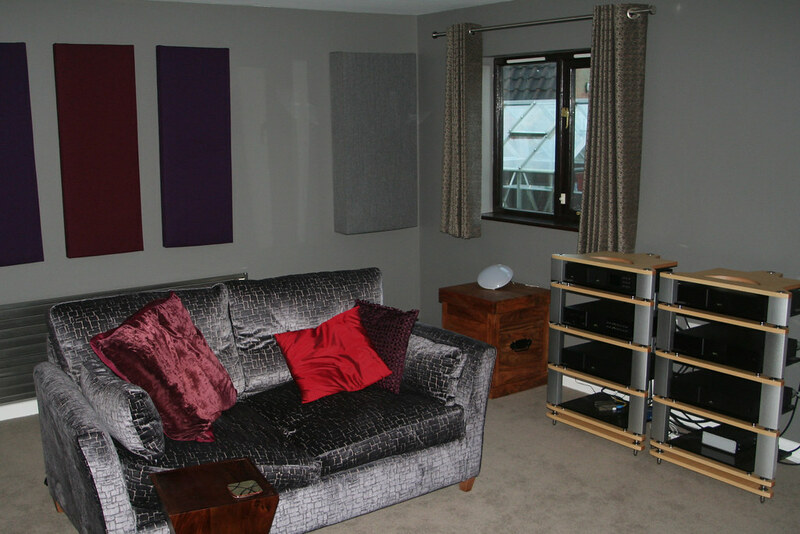 I'm just finalising my initial order from GIK having spent some time choosing colours and textures that contribute towards the overall feel of the room as well as creating an…"
"It is really starting to take shape Dave...bet you can't wait to hear what it sounds like! Scott." It has been almost a year since I completed my new listening room, so I thought it about time to post an update here. This 3rd and final update concludes my brief series describing the design and construction on my new listening room. It's been quite an lengthy journey, mainly due to my decision to undertake most of the construction work myself at weekends and over my summer break, but the final result is breathtaking. It's been a little over 3 months since I posted on my project to create a new dedicated listening room, so I thought I should provide a further update on progress.